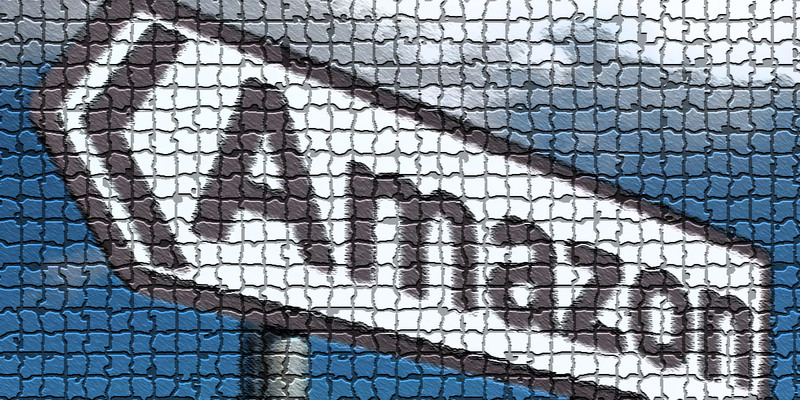 Amazon has become a monopolized power house, taking down any and all competition in its path. The character of Jeff Bezos, multi-billionaire CEO of Amazon, has been questioned, but his charity work to support America’s most depleted areas has been astonishing. The phrase “Amazon-pocalypse” is a trending hashtag on various social media platforms. Some might call this phrase an oxymoron or just comical, but the reality behind this is that Amazon may soon be the largest monopoly in the world. According to USA Today, Amazon topped the vaunted $1 trillion market cap last month, joining Apple in this rare air, and many business analysts are debating whether Amazon is a justifiable marketplace or a full-on monopoly. Instead of shopping at your local grocery store for your basic necessities, Amazon will soon be delivering your groceries via drones. In fact, the Seattle-based company has been testing drone drops for years now, making a public drone drop of a package at an Amazon event in March 2017. Yes, this does sound cool and futuristic, but the truth behind this is loss of jobs, death of mom-and-pop shops, and the proliferation of low-wage Amazon factory jobs. Today, Americans are more likely to buy online than ever before in history. A Pew Research Center Internet & Technology study revealed that approximately 80 percent of shoppers have made online purchases, which us up dramatically from 2000, when only around 20 percent of those surveyed said they made purchases online. And, to my point, that means some market analysts are predicting more than 10,000 brick-and-mortar businesses closing this year. The in-store shopping experience is the only value-proposition that is saving these physical stores. Today, we are at the point where we can go online and instantly buy anything with a click of a button. The CEO of Amazon, Jeff Bezos, has come across in past interviews as egotistic and more or less acquisitive, but recently Bezos has pledged to put his fortune toward America’s two major issues: homelessness and early childhood education for low-income families. Bezos has pledged $2 billion toward his charity, “Day One Fund,” which launched Sept. 14, 2018, just a few days after his company topped the trillion-dollar value mark. The charity will consist of two funds, The Day One Families Fund and The Day One Academics Fund. “The Day One Families Fund will issue annual leadership awards to organizations and civic groups doing compassionate, needle-moving work to provide shelter and hunger support to address the immediate needs of young families,” said Bezos, whose net worth is estimated at over $150 billion. According to Bezos, the Day One Academics Fund will consist of “high-quality, full-scholarship” preschools in low-income communities, which a Day One fund organization will directly operate. The Amazon-pocalypse will continue to destroy any competition in its path, taking over and changing the shopping experience as we know it. To the consumer, this may be more convenient to fit our everyday lifestyle, but to the local businesses and even large corporations, this may be the beginning of the end. For example, Sears, once considered the icon for American retail shopping, filed for Chapter 11 bankruptcy protection this week. At the very same time, thousands, perhaps millions, of underprivileged or indigent citizens could find a new path toward education and steady income, becoming productive contributors to society at large. My question is does the good outweigh the bad? You decide.